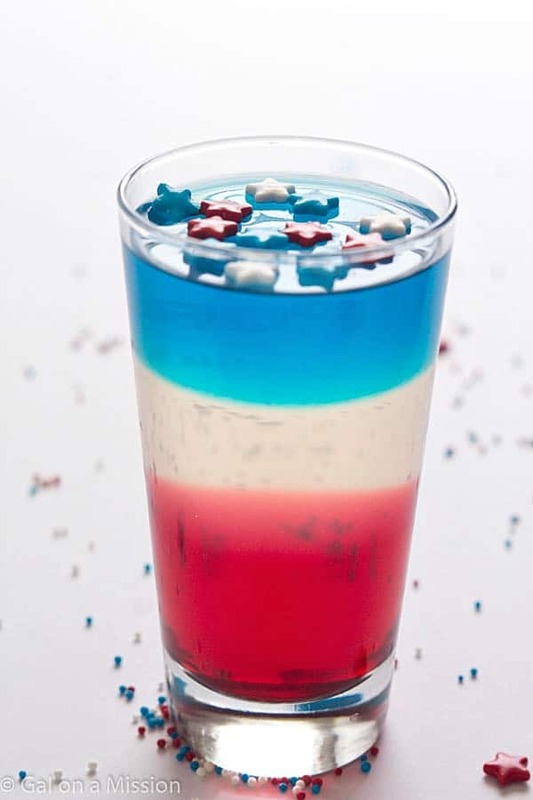 Red, White and Blue Jello Cups – Impress your guests or kids with these patriotic cups for Memorial Day or 4th of July! I cannot believe Memorial Day is right around the corner! Where has this year gone? Just a couple months ago we were scurrying around to finish the last little bit of Christmas shopping. And now it’s almost June. Since we do not have children, we hardly ever make holiday edibles with specific colors. This year, I thought it would be fun and it was. I am not going to lie to you. These jello cups do take at least a day to make. They are time-consuming; but, so worth it. 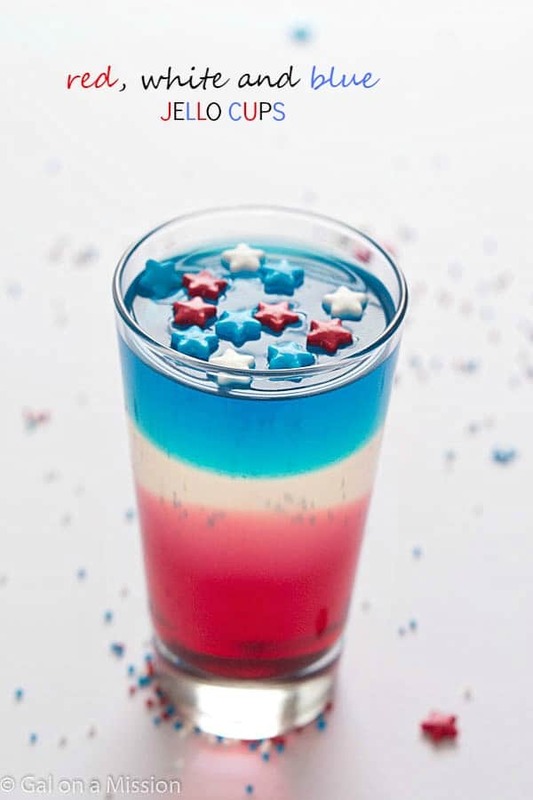 Your guests for Memorial Day or 4th of July are going to be impressed. Heck, I am impressed with myself for having the patience. That’s one thing I wish I had more of. Now it’s not a full day of hands-on-time. Most of the time is allowing the jello to set in the refrigerator. Now if you do not have a full day to work on these, they may take you two days. Not only is it a fun recipe for the holidays, but it can be fun with the kids, too. Once the jello liquid has cooled from being on the stove-top, the kids can then help you pour the liquid into the jars. Sometimes I would have loved as a child! 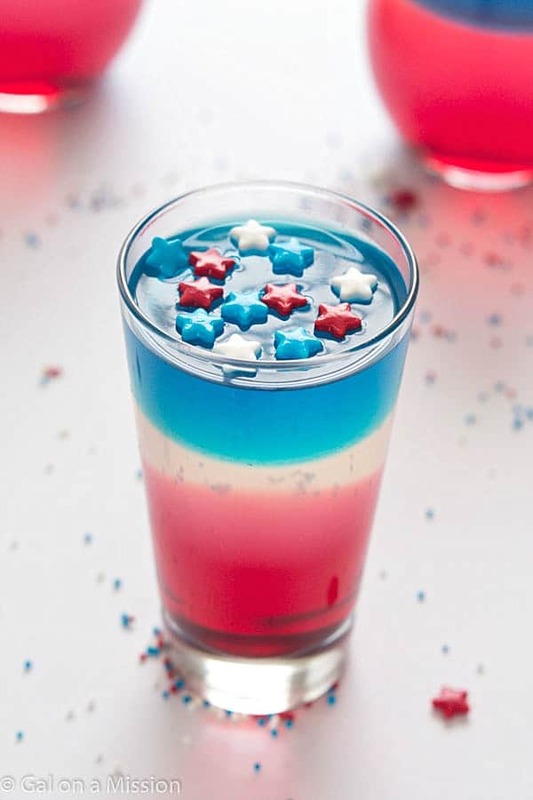 Another tip for the red, white and blue jello jars – you may want to sweeten the white layer. It’s plain gelatin and that is a little bland. 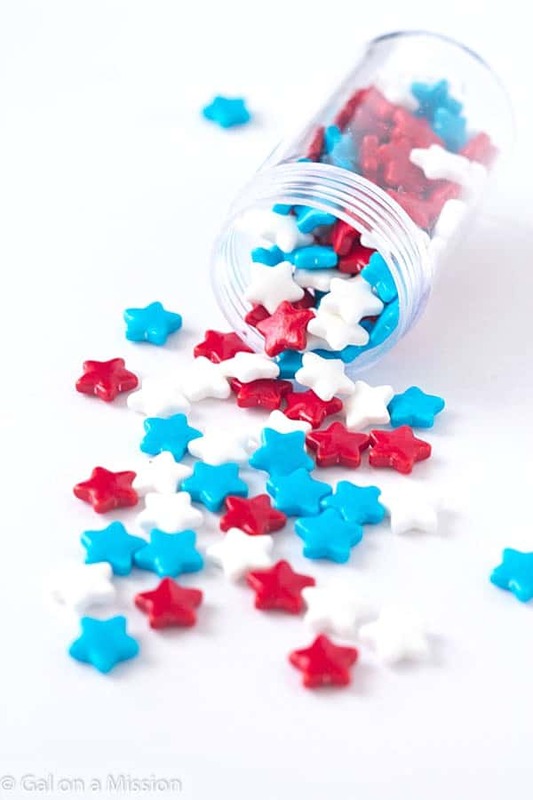 I didn’t sweeten mine, it was sweet enough with the red and blue layers once you took a bite. Prepare the red jello according to the directions on the back of the package. Pour the red jello into a small glass jar. Place into the refrigerator and allow the jello to set. Pour the plain gelatin into a small saucepan, add 2 cups water. Boil until the gelatin and dissolved. Add sugar, to taste - if needed. Add 1 cup cold water to the plain gelatin, then pour on top of the red jello. Place into the refrigerator and allow the jello to set. Prepare the blue jello according to the directions on the back of the package. Pour the jello into a small glass jar. Place into the refrigerator and allow the jello to set. *You may omit the granulated sugar, if you wish. The plain gelatin is not sweet by itself.